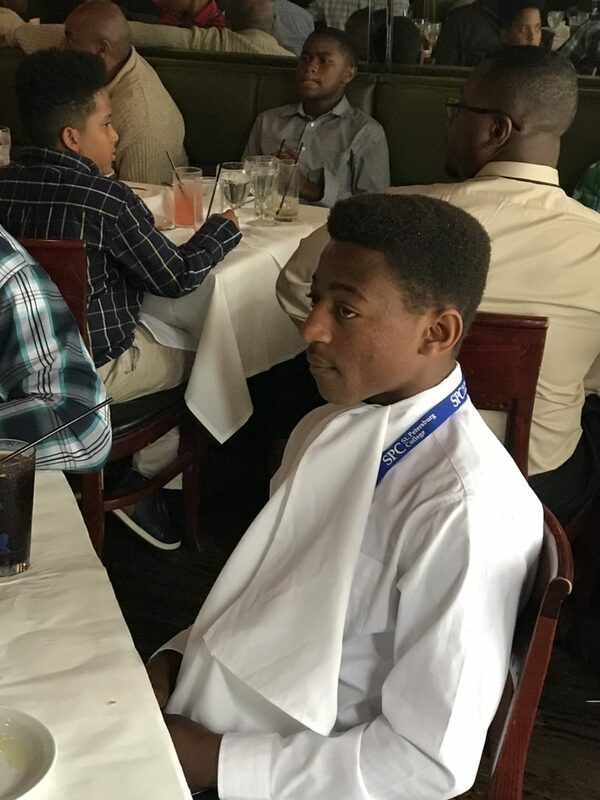 All MIM eyes were transfixed in Bro. 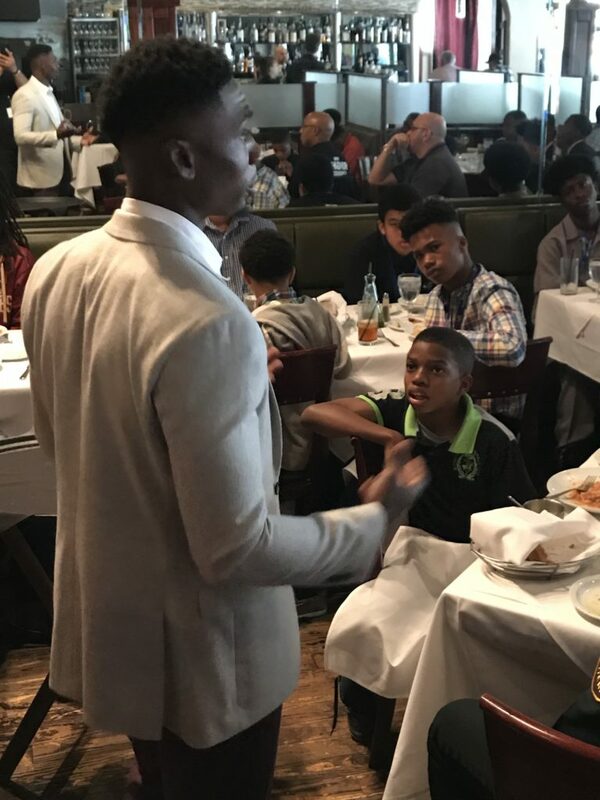 Reggie Reed, Jr. who share his message of “The Grind” with youth and role models in attendance. 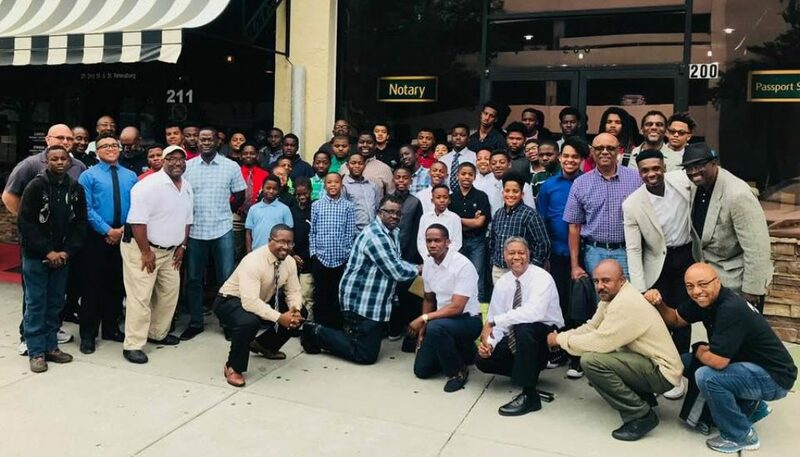 The Ph.D. candidate is the newest role model member to join Men In The Making. 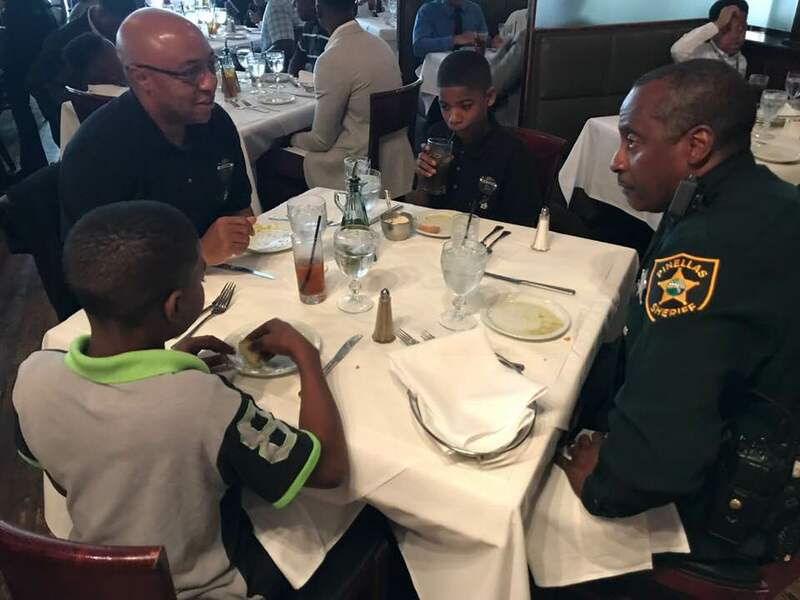 During the MIM dining etiquette session @ Gratzzi Italian Grille Luke Williams, newly appointed Pinellas County Schools Chief Of Police and Antonio Gilliam, Assistant Chief Of Police / SPPD demonstrate the Heimlich maneuver. 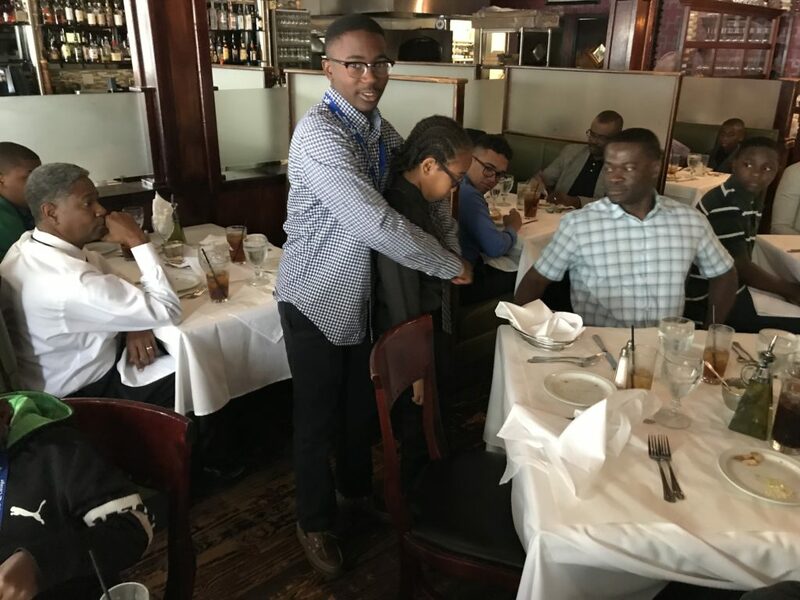 The quick life-saving procedure is named after Dr. Henry Heimlich, who first described it in 1974. 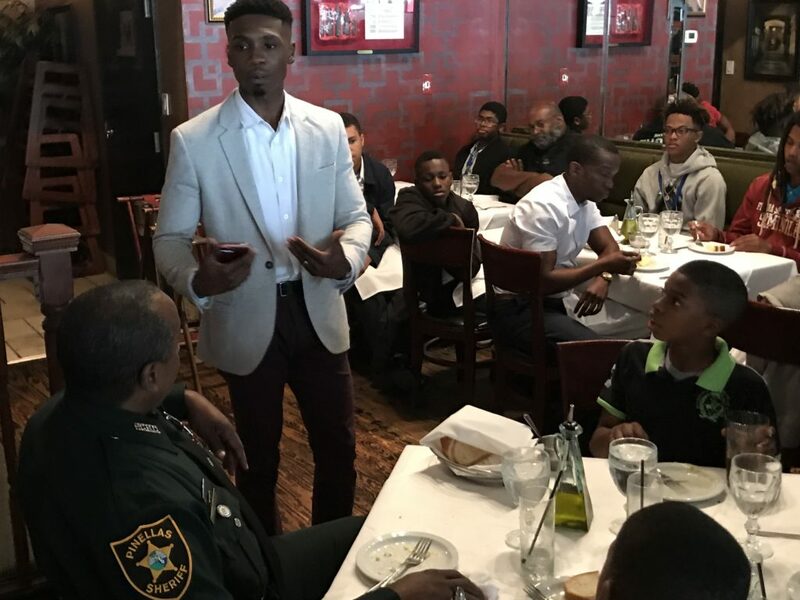 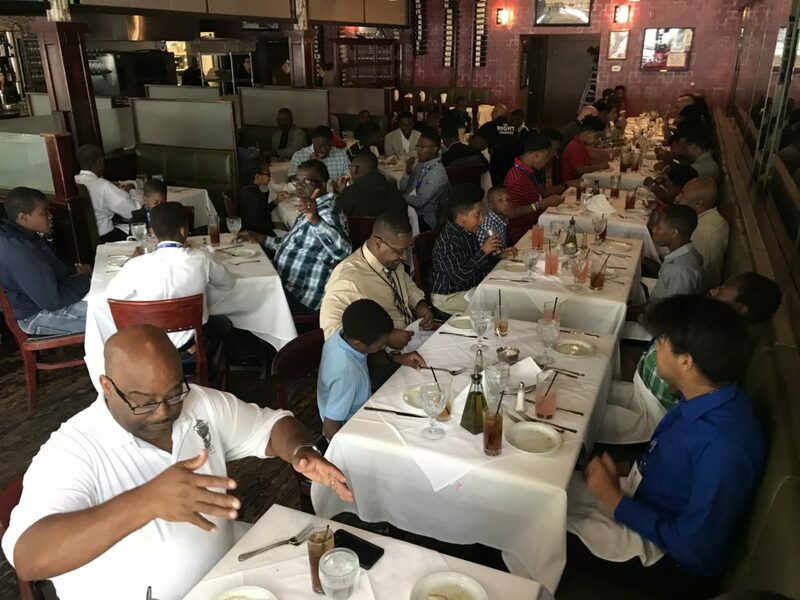 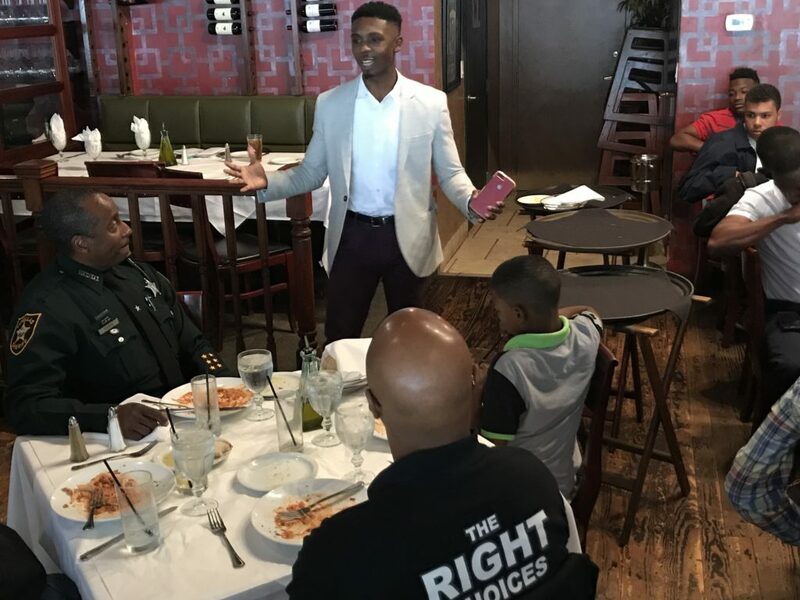 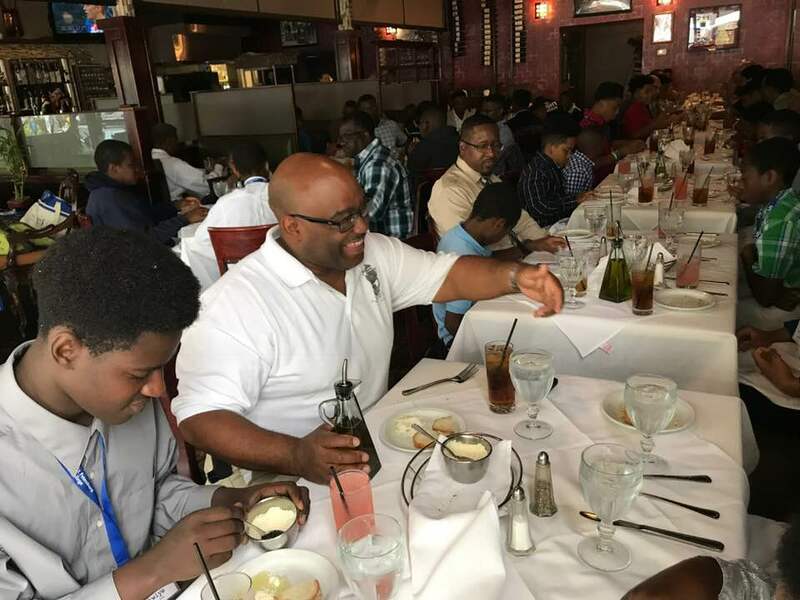 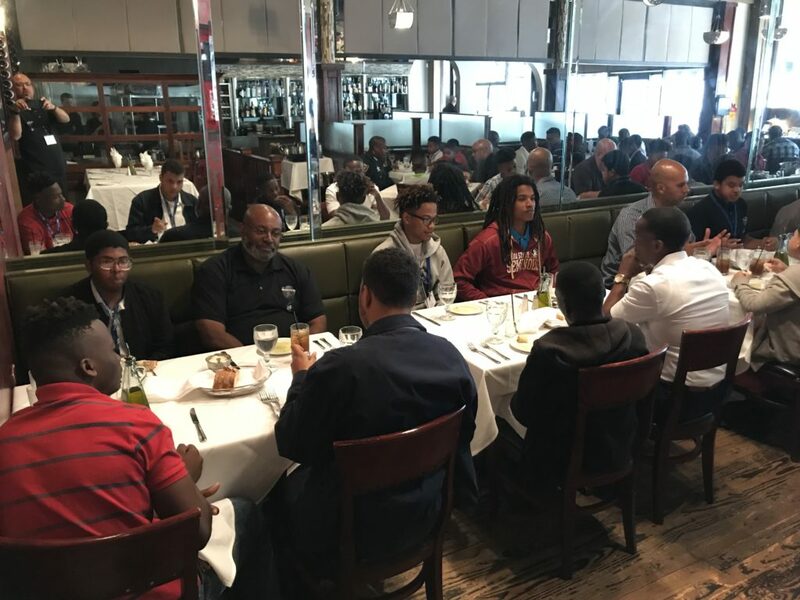 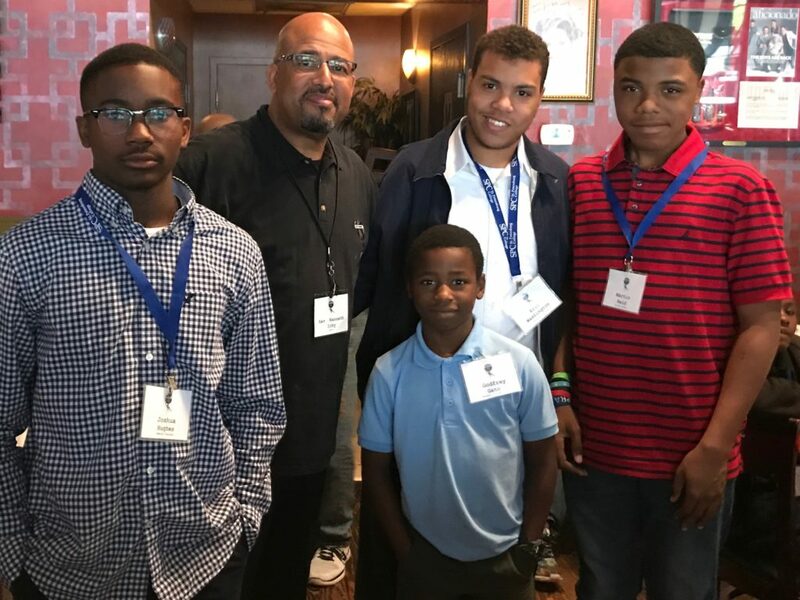 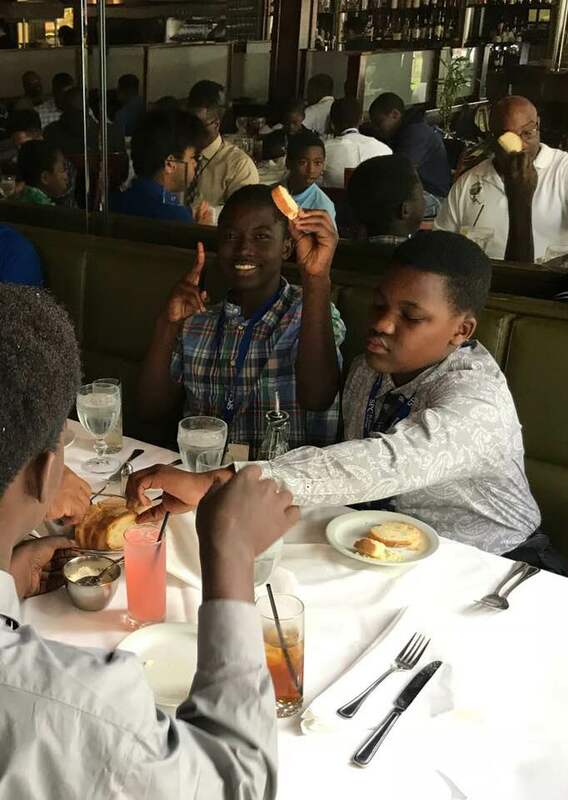 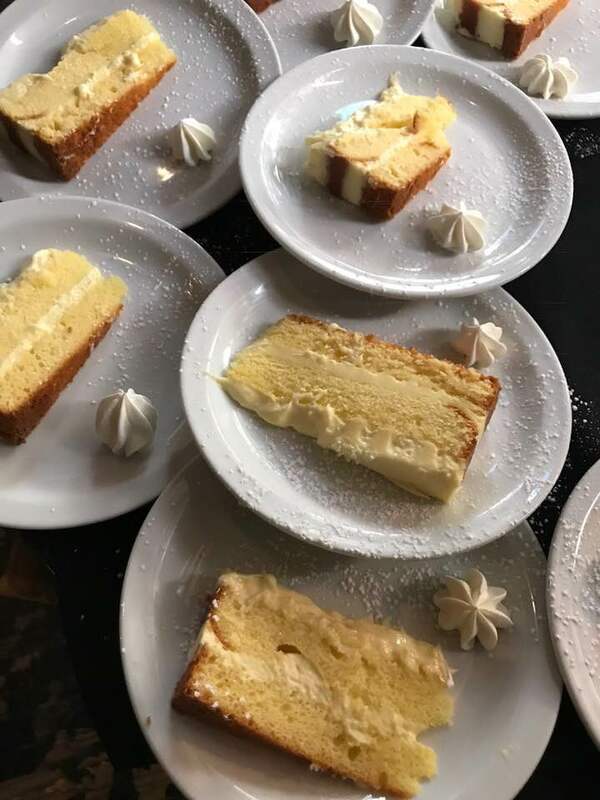 Men In The Making Role model Lendel S. Bright, instructs the three youth at his table during the dining etiquette session at Gratzzi Italian Grille in downtown St. Petersburg, FL.